An electrocardiogram is commonly known as an ECG. It is a tracing formed by recording the tiny electrical signals that are generated by your heart. The signals are normally measured through 10 leads that are connected to your chest, arms and legs using small stickers that act as electrodes. 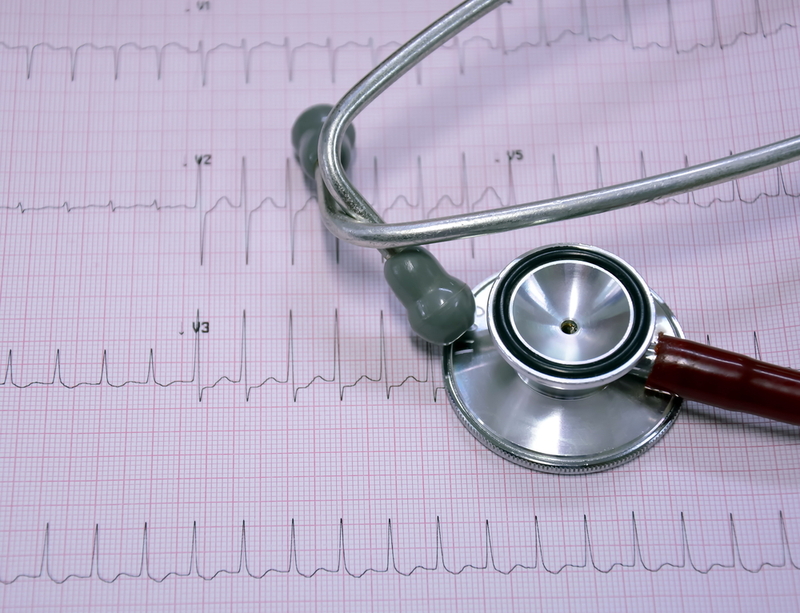 The test only takes a short length of time, is not invasive and painless, but the electrocardiogram can provide a large amount of information for your doctor. You will normally be asked to lie down on a bed while it is performed. What types of things can it demonstrate? The electrocardiogram can provide valuable information about the heart rhythm and the normal conduction of electricity within the heart. This can be very helpful in diagnosing abnormal heart rhythms, such as atrial fibrillation and also underlying problems related to poor conduction, as occurs in types of heart block. The size of the traces can demonstrate abnormalities in the size of the heart muscle itself. This can sometimes occur in heart muscle conditions known as cardiomyopathy, but also in relation to persistent high blood pressure, underlying lung disease and heart valve disorders. Where people have presented with chest pain, changes on the electrocardiogram can indicate underlying ischaemia (insufficient oxygen to the heart muscle), which often causes angina and may indicate the presence of an acute heart attack. Does body hair, skin lotion and clothing affect the test? Some individuals have more chest, leg and arm hair than others. This can sometimes affect the ability of the stickers to fix to the skin and give a good signal. This is not much of an obstacle, but the cardiac physiologist or nurse may need to shave a small area where they want to stick the electrodes. It is a good idea to avoid any oily lotions on the day of the test, as this may prevent the stickers from staying on. It is helpful if long length hosiery is avoided, as stickers will often be placed on your ankles and this can be done easily without the need to remove your undergarments provided only socks are present.